The Adonit Mark is the best option for most people, thanks to its combination of accuracy, comfort and price. 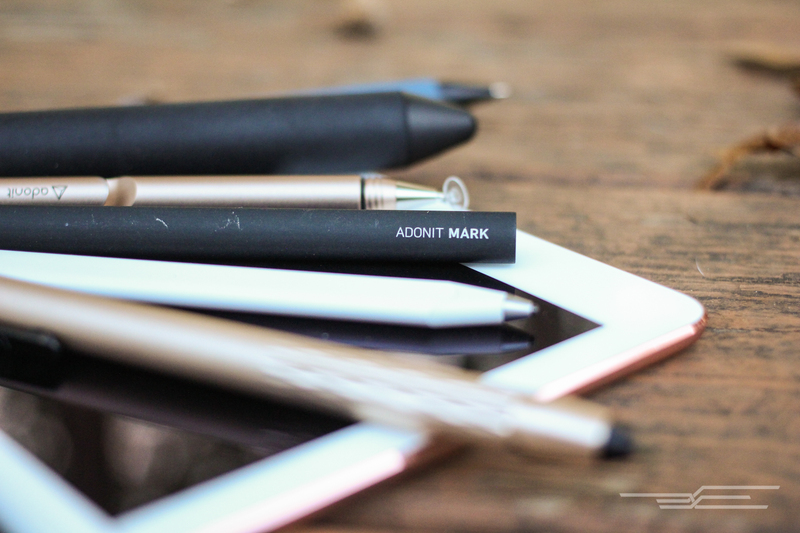 After testing 18 styluses in five categories for over 20 hours to find the best touchscreen stylus for sketching, writing, and navigation, we think the Adonit Mark is the one most people should buy, thanks to its unmatched combination of accuracy, comfort, and price. A stylus makes it easier to draw, sketch, doodle, write notes, and use devices in cold weather, and they help people with accessibility issues that might make touchscreen navigation difficult. If you use an iPad or other tablet largely for browsing the Web, watching video, or playing games, you're likely better off manipulating the screen with your finger. 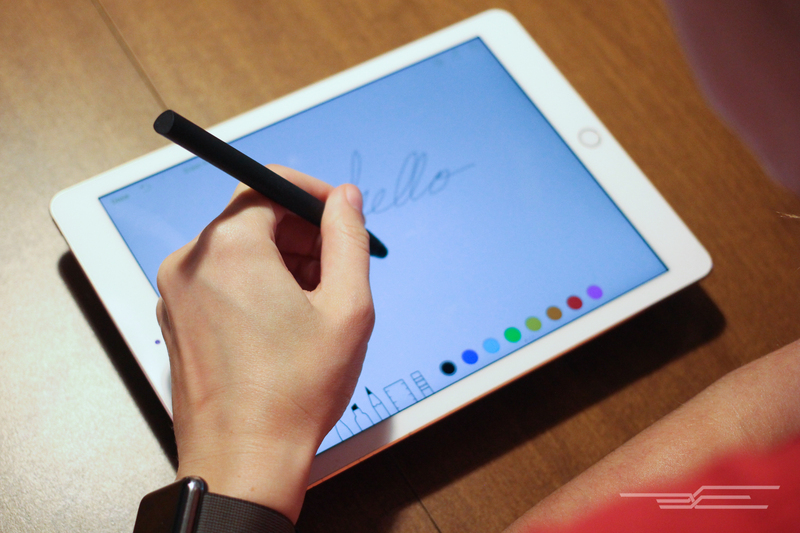 But even if you're just a casual iPad or iPhone user, a simple stylus might be in the cards for you this year: With new drawing-focused messaging features in iOS 10, and with most social applications incorporating some form of doodling, it's becoming more and more useful to be able to draw coherently on glass. Professional digital artists and avid note-takers have different needs than the average iPad user, so we picked and tested a few different styluses with those groups of people in mind, as well as a model for children and people with accessibility issues. 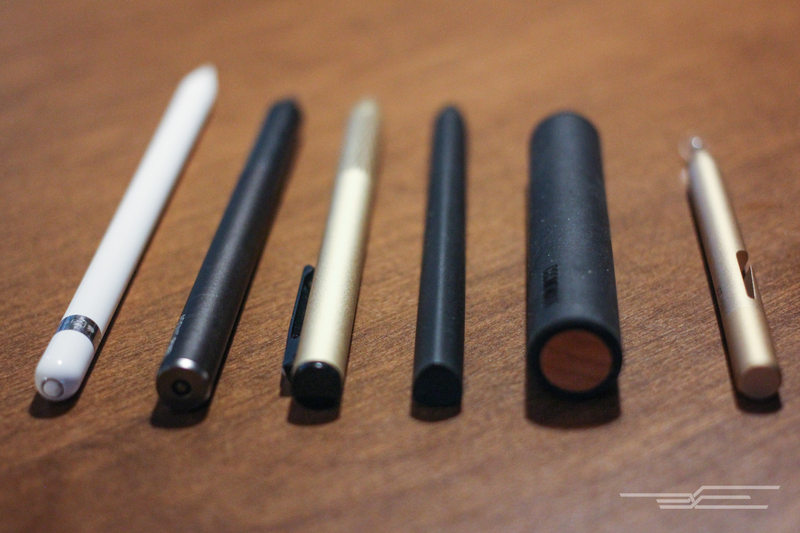 We picked three to five top styluses from each of the five stylus categories described in our full guide (rubber nib, mesh nib, "other" nib, active (powered) fine-tip nib, Bluetooth-powered nib) based on popularity, outside recommendations, our own stylus experience, and comparison testing. We put the initial group of 18 models (including the Apple Pencil) through three rounds of tests on the three most recent iPad models: an iPad Air 2, a 9.7-inch iPad Pro, and a 12.9-inch iPad Pro. As for the apps, we used Apple's Notes, which provides a good baseline for drawing features without too much overprocessing, along with the Paper app for precision and balance tests. We designed our initial tests to evaluate the four most important characteristics of a great stylus: comfort, resistance, balance, and precision. For more on our testing procedures, see our full guide. Based on our tests, we chose six semifinalists to test with our illustration and cartooning experts. Both artists experimented with the tools while engaged in their regular workflows. 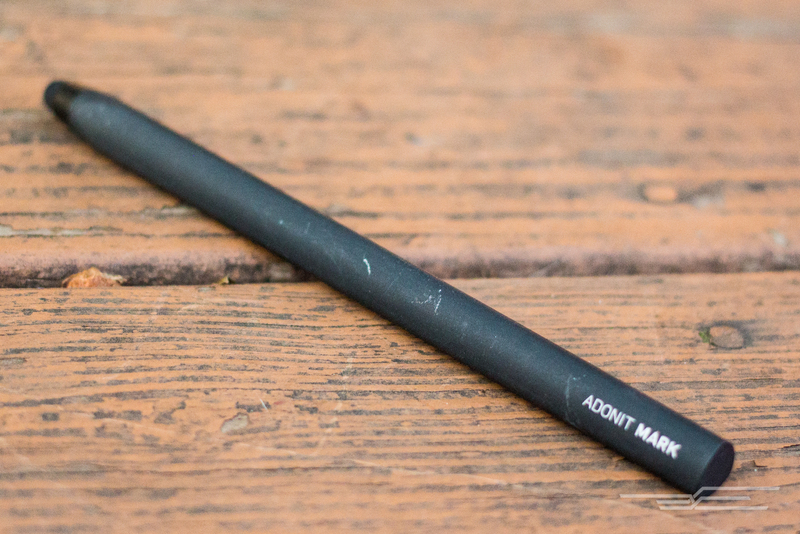 The best stylus for most people and most uses is the Adonit Mark. It feels like a high-quality pen in your hand, with an anodized finish you can't help but want to touch. Its weight is evenly distributed across its body, allowing you to hold it close to the nib or near the other end and still have control. The Mark's mesh nib is thicker, more durable, and smoother to write with than the competitions'. 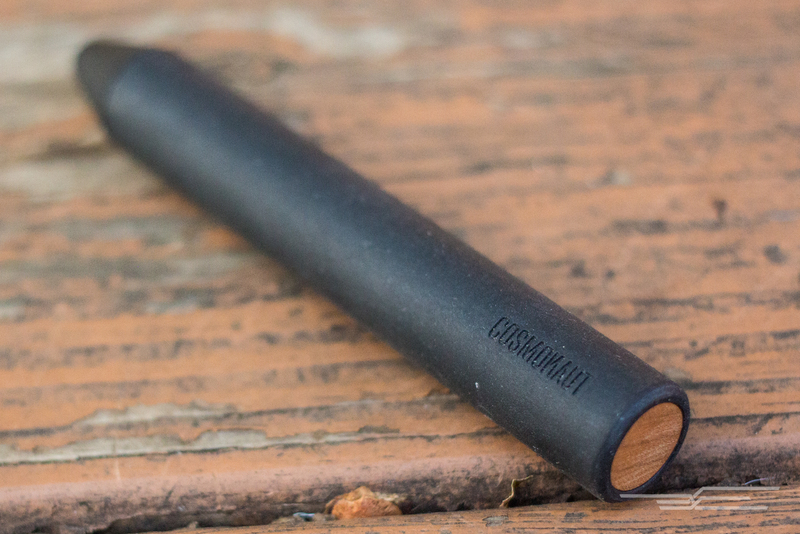 And perhaps best of all, this model is one of the most affordable styluses out there. Don't get us wrong: The Mark doesn't beat the Apple Pencil—no stylus we tested does. But if you don't have the money for a $100 stylus or you don't have an iPad Pro, the Mark is the next best thing. Although we do have some long-term testing concerns about the durability of the mesh nib based on past experiences, the Mark's nib is replaceable, and though Adonit doesn't currently sell replacement Mark nibs, the company says you can request them through customer service. The balance of this stylus is impeccable, and it feels great for writing and drawing whether you like to grip it at the nib, middle, or end. The Mark's matte-black (or silver) anodized-aluminum finish provides a satisfying grip, and the coating is enjoyable to touch. The Mark really proved itself during our speed and precision tests. While writing or tracing, you can hold the Mark in just about any position and still get good grip and control—and you can easily avoid accidentally rubbing your palm against the screen. The Studio Neat Cosmonaut looks very different from most of the contenders in the stylus field—both its body and its nib are larger than those of every other modern stylus option we've seen. But this bigger size makes it a perfect choice for kids and people who have trouble gripping smaller pens. The Cosmonaut's rubber-coated aluminum body is sturdy and balanced; it feels great in the hand of a child, adult, or senior. It's a big tool, and though its balance and resistance allow you to do excellent line work, you have to trust in the Cosmonaut's nib precision—the stylus's chunky body often blocks your view of the area you're working on. For zoomed-in illustrations, loose sketching, or big writing, however, the Cosmonaut is a delight to work with. The Cosmonaut can get heavy during lengthy drawing sessions, and at around $25 at the time of this writing, it's more expensive than the Mark. But if you want a solid stylus with a unique profile and excellent durability, you can't go wrong with it. If you're a professional illustrator, calligrapher, or artist, or if you need impeccable handwriting and annotation on glass, you need the Apple Pencil. If you're an intermediate artist taking the next step, you need the Apple Pencil. 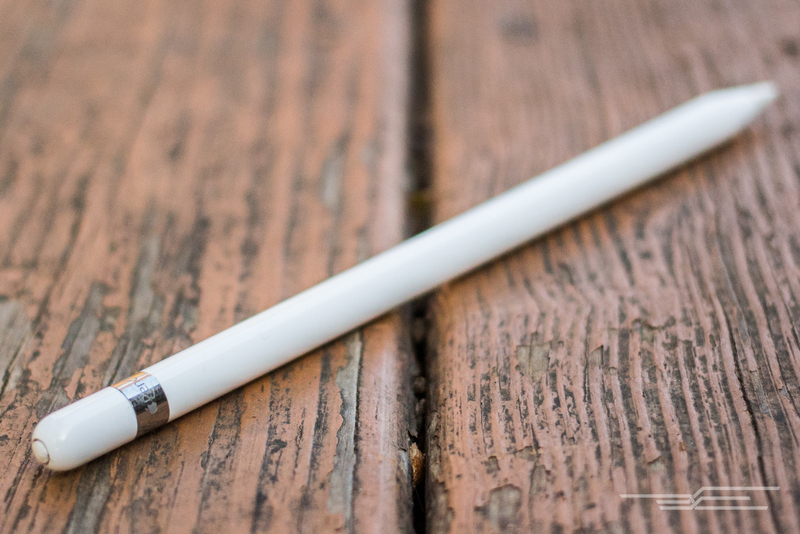 And if you like using a stylus to navigate your tablet, you'll love the Apple Pencil. The big caveat is that the Pencil currently works only with the iPad Pro models. But because Apple makes the Pencil, as well as the iPad, iOS, and software kits for developers, the Pencil can take advantage of special features (such as side-touch shading, thanks to data gathered from the Pencil's tilt) that styluses from other makers simply cannot.